The Bucs got Adrian Clayborn on Thursday with the 20th pick of the NFL Draft, but it was almost not meant to be with the Cleveland Browns waiting in the wings to grab the big guy. TampaBay.com reports that Clayborn almost wore orange of another team, and that the Browns moving up to #21 was so they could take the defensive linemen. Cleveland eventually settled on Baylor Phil Taylor at 21. Clayborn’s camp believed the Browns’ decision to trade up five spots to the No. 21 slot was aimed at grabbing Clayborn. There’s just one problem: The Bucs beat them to the punch. “(The Browns) were trading up to get me, so I’m glad (Tampa Bay) pulled the trigger,” Clayborn said. Clayborn said Tampa was where he wanted to be, so from his perspective, he dodged a bullet. There were other teams that he knew were extremely interested. 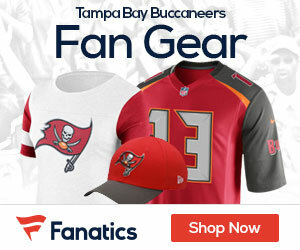 When Tampa Bay finally was on the clock, Clayborn sat nervously in the green room at Radio City Music Hall, until his agent got a text message from Bucs general manager Mark Dominik confirming the choice. Even then, though, Clayborn refused to let his guard down until Dominik called him several minutes later.